This large tern was once a common sight around New Zealand’s coastline and estuaries, but it is now Nationally Vulnerable. It is widely distributed around the planet and there are about 50,000 pairs in total. Nesting colonies are vulnerable to predation, storms, and idiots. 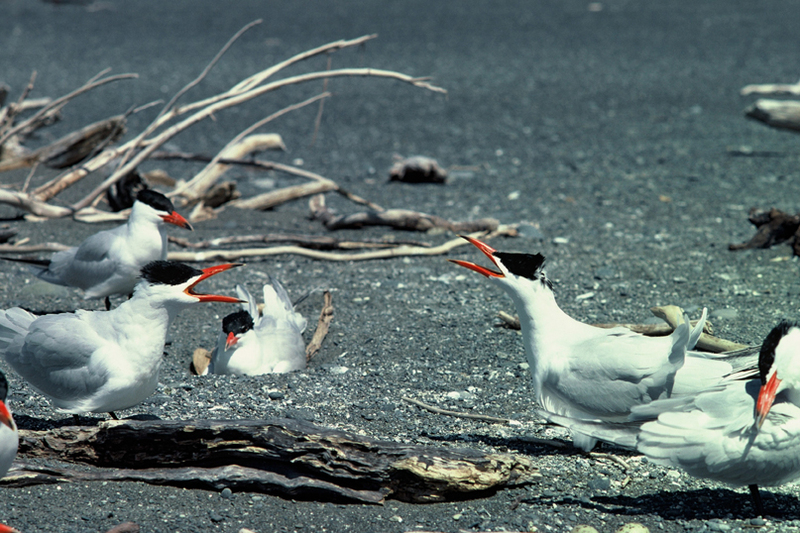 Caspian Terns have been nesting at Onoke Spit for decades and it is popular with bird enthusiasts, and half-wits as witnessed by the vehicle tracks though the colony. Storms occasionally wreck the nesting season and the terns don’t need the added pressure of rats, ferrets and cats. DOC’s Jenny Whyte wanted to do some predator trapping there and Fauna Recovery New Zealand contributed $2,300 in 2010 for some essential hardware. Chick counts each season will be the measure of success and it is hoped that the local lizard population will benefit too. 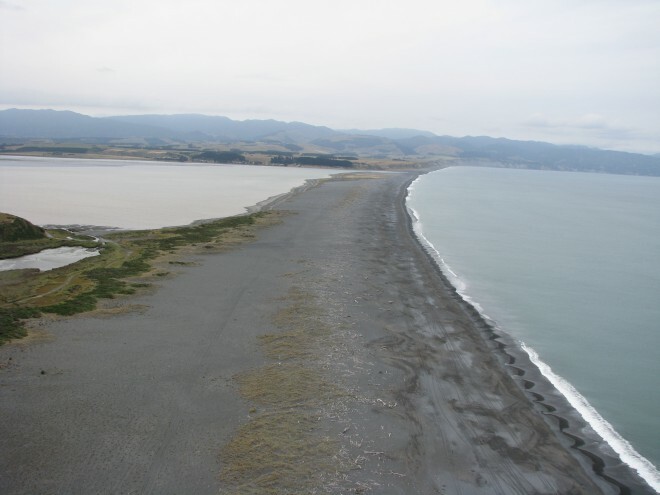 After this kick-start, a new community group (Friends of Onoke Spit) has formed and local members are currently responsible for much of the pest work going on. With encouragement from this group, DOC has increased its pest plant control and restoration work, and recently received sponsorship from a local winery to support this work and additional information signs.